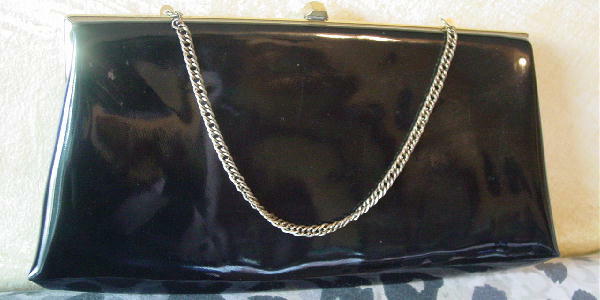 This classic black patent leather vintage HL evening purse was made in the USA. It has a black fabric lining with HL USA in gold-tone letters. 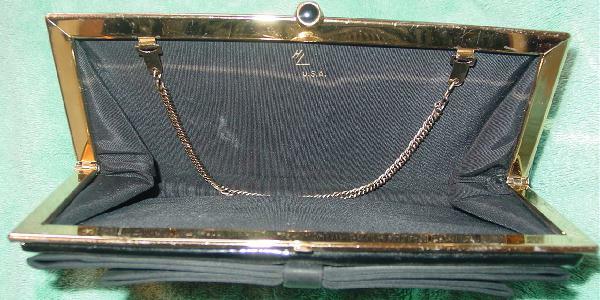 There is a gold-tone rim and 11" link chain which can be tucked inside so you can carry it as a clutch. The top has an angled center closure ornament which has a black enamel center. 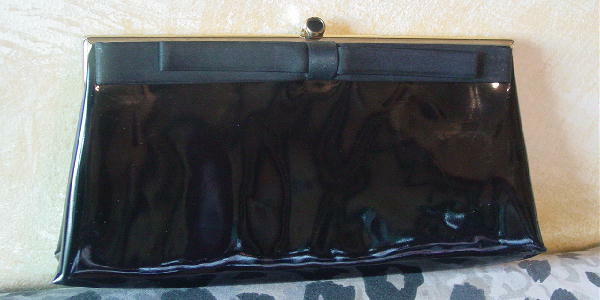 The upper front has a long black satin bow. There are a few light surface scratches, which we don't think detract from its appearance. The white and light gray areas in the pictures are reflections. It's from a former French model, who used it as her evening purse when she went to movie premieres and the Cannes Film Festival.